My posts will likely be hit or miss well into the next month. My anemia is quite overwhelming at times, and I spend a lot of time watching Law & Order, drifting in and out of consciousness. (This I know to be true: much as I love you Chris Noth, Vincent D'onofrio is simply amazing, with his updated Columbo act.) My GYN doctor informed me that a hysterectomy looms in the near future. I'll have to be transfused for that, because my hemoglobin is so low. So, my time is now spent trying to eat iron rich foods, along with my odious iron supplements. Naturally, if you're thinking of eating food packed with iron, liver is right at the top of the list. 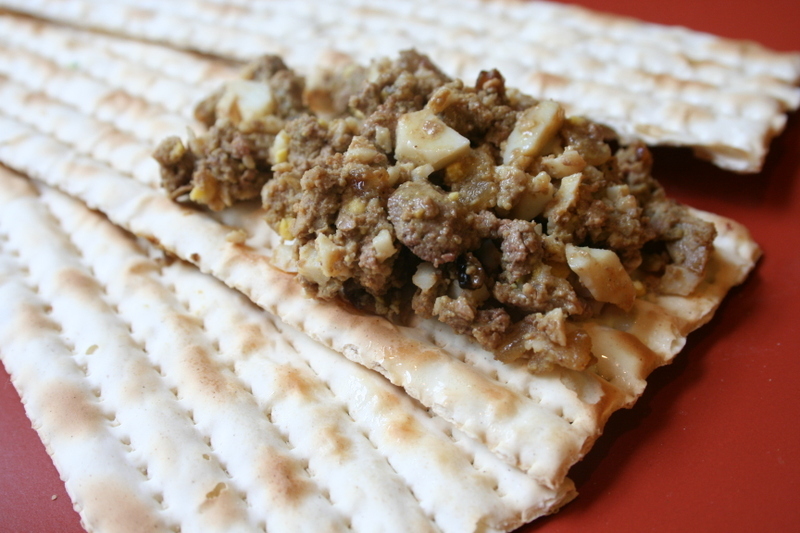 I hated it as a kid, and my mom never forced me to eat it, after I threw up her (by all accounts) wonderful liver and onions. 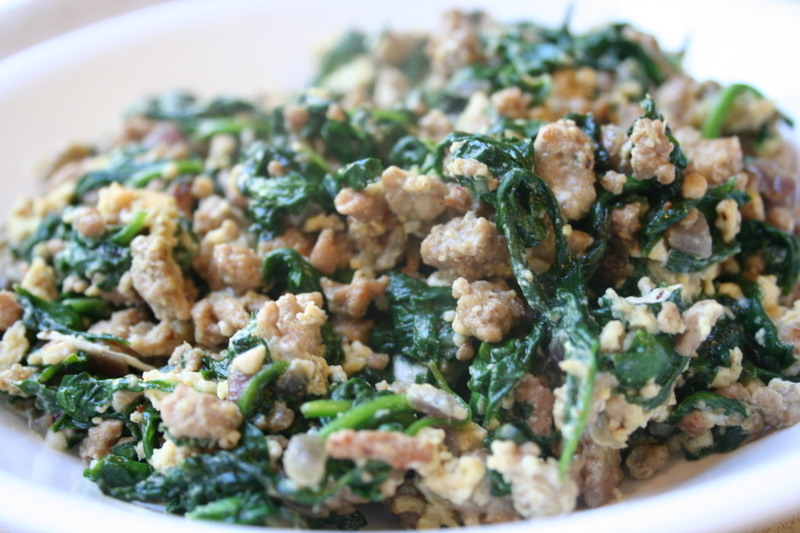 I'm still not crazy about it, but decided to make some chopped chicken liver. 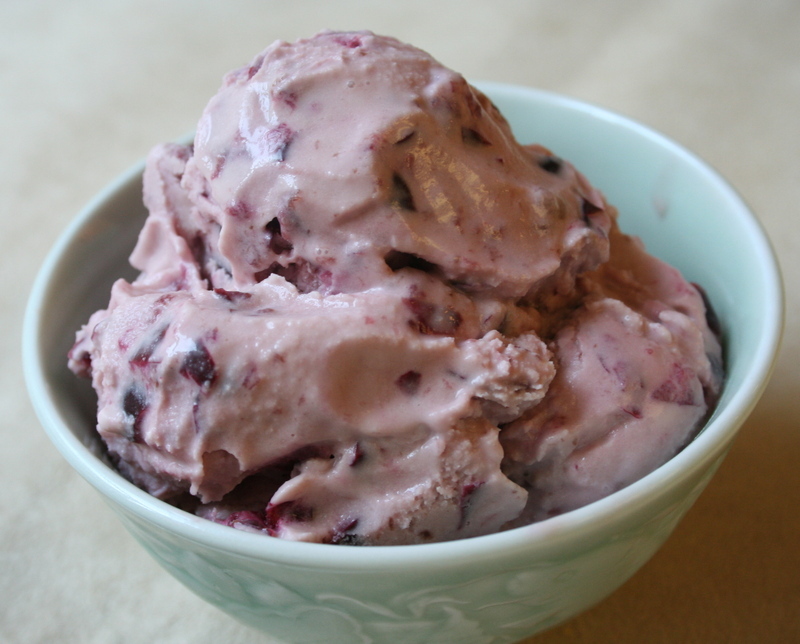 It was easy and fast to make, and was a major part of my diet for the last two days. For a liver hater, I found it.....sort of good. Liver lovers might enjoy it a great deal more than me. As I ate this, on matzo of course, I thought of my sister. She loved chicken livers, and would have made little noises of pleasure as she gobbled it down. I can't resist quail eggs. 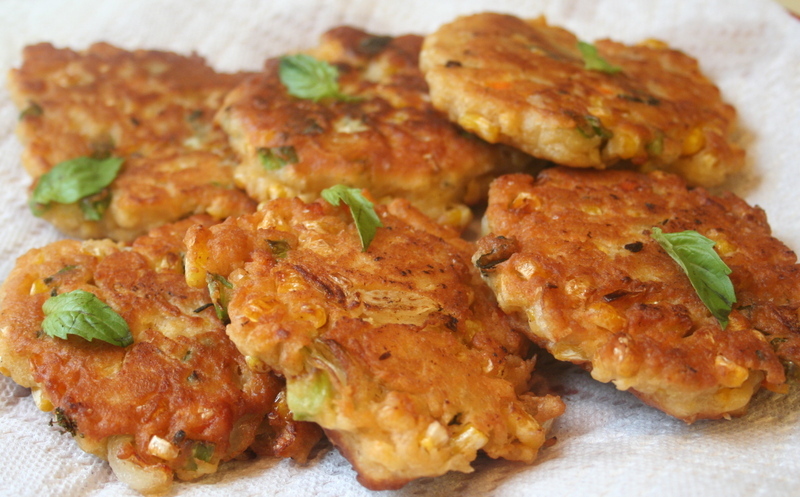 In truth, they taste like regular chicken eggs, but there's a special charm to them. Maybe I never escaped the influence of the best gift I ever received as a child, a Deluxe Easy Bake Oven. I still fondly remember the tiny layer cakes and cookies that I baked. 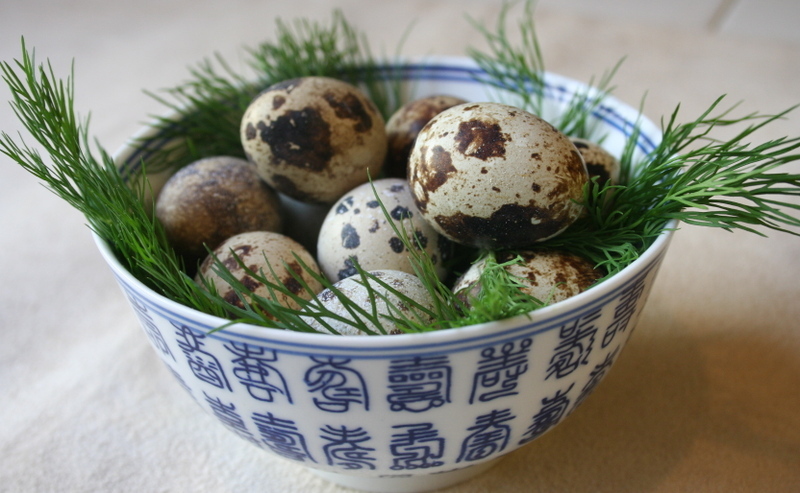 So, my attraction to miniature foods makes my heart melt when I see an iitty bitty carton of quail eggs. Just think of the elfish possibilities: Fried or poached eggs and toad's in the hole no bigger than a quarter. Or just boil them and hold your own Cool Hand Luke style egg-eating contest. I boiled the quail eggs you see in the picture, but decided to make deviled eggs with them. Perfect for a party, or able to tempt the most food aversive child, perhaps? My grandmother raised chickens when I was a child. She had a chicken coop, which most of her chickens scorned in favor of nests they made in various parts of the property. I remember that some of the chickens nested in the branches of a huge oak tree, leaving me a lasting memory of watching baby chicks running back and forth overhead on the limbs of the tree. My grandmother let me gather eggs, a nerve wracking experience, because the older hens had no respect for me, and would peck my hands as I picked up the eggs. But, no bad tempered hens were going to deny me a delicious egg. 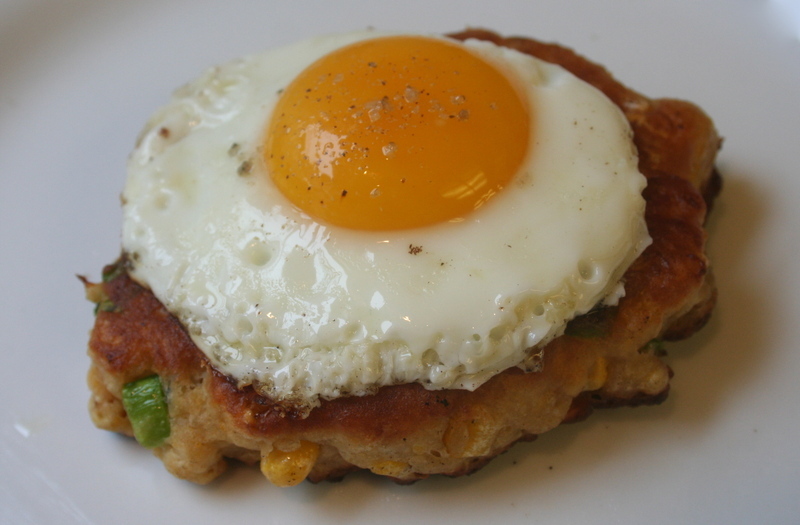 Why am I going on and on about eggs, when the post is about corn pancakes? Because eggs will always save the day. Yesterday, I had meager provisions in my fridge and pantry. No meat or fish, and very little pasta, beans, or vegetables. But, I had eggs, some veggie odds and ends, and frozen corn. 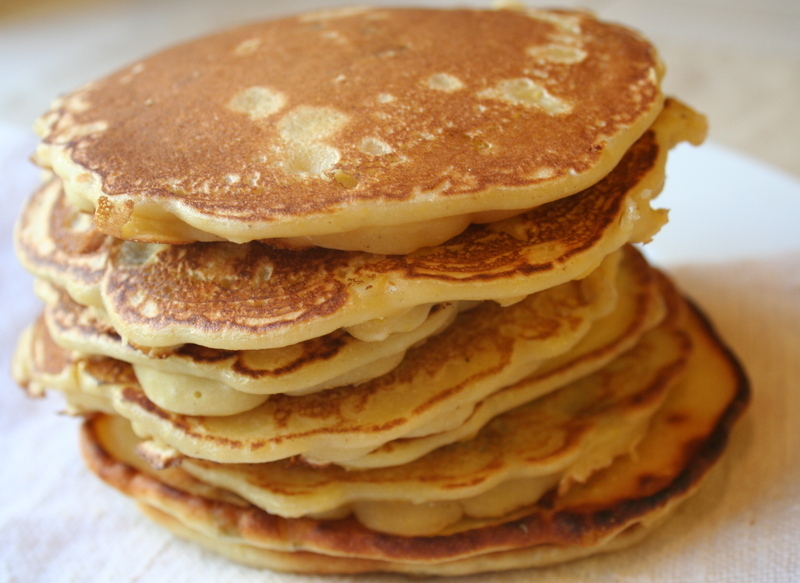 The result was delicious whole wheat pancakes filled with corn, broccoli, onions, and basil. It all started when I saw the eggs in the fridge. And to guild the lily, I put a fried egg on top of the pancake. Perfect. I almost forgot that the fabulous Peabody at Culinary Concoctions By Peabody is having a cyber Housewarming Party to celebrate the beautiful new abode she recently bought. If you haven't been to Peabody's blog, do yourself a favor and check it out. She makes drool-worthy confections that haunt my dreams. Most people microwave a bag of popcorn for a snack. Not Peabody. She makes cupcakes and brownies so decadent, my heart skips a beat when I look at the photos on her blog. The deadline for the housewarming party is approaching and I was stumped on what to bring. 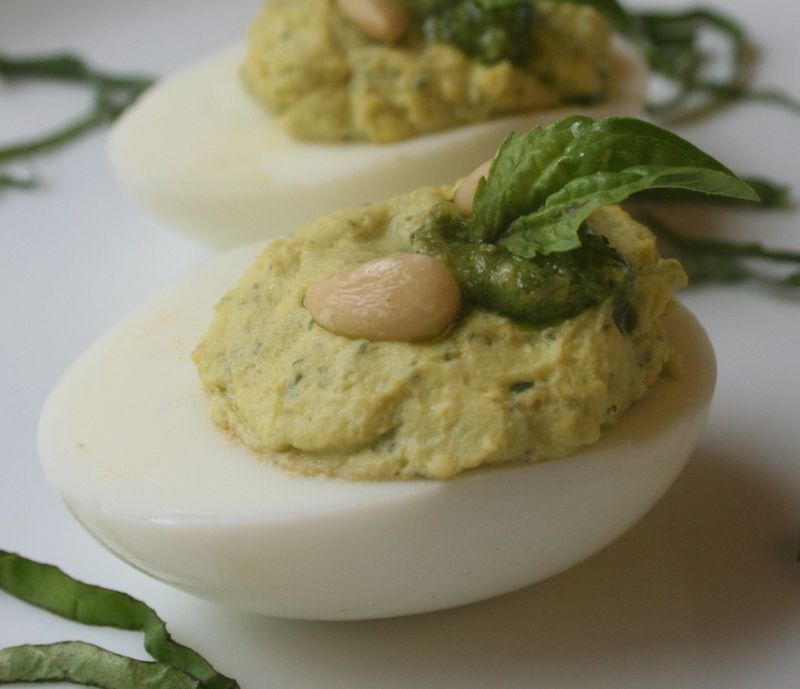 Then I thought of the most reliable dish to bring to any party: Deviled eggs. Oh sure, many people think they're pedestrian, but notice how quickly they disappear when you set a platter of them down on a table? They're perfect party food, because you can hold them in your hand and nibble on them delicately with your pinky finger crooked--or toss back as many as you like, whole, in your mouth. No danger of them dribbling crumbs or liquid on the floor, they're easily carried to nosh on, as you look at Peabody's lovely new home. When I was a small child, my grandmother served wonderful breakfasts. She fixed eggs, bacon, grits, and rolled biscuits at the blink of an eye. Frankly, I didn't appreciate them, I just wanted a bowl of cold cereal. Later, I came to love those large, calorie laden breakfasts. It's my favorite type of meal. But, I don't have them very often. Now, I eat cold cereal or oatmeal because they're healthier. But every so often, it's nice to have heartier fare. This month, Glenna of A Fridge Full Of Food And Nothing To Eat is hosting Weekend Breakfast Blogging, which was created by Nandita of Saffron Trail. This month we were asked to prepare a breakfast with an ethnic twist. 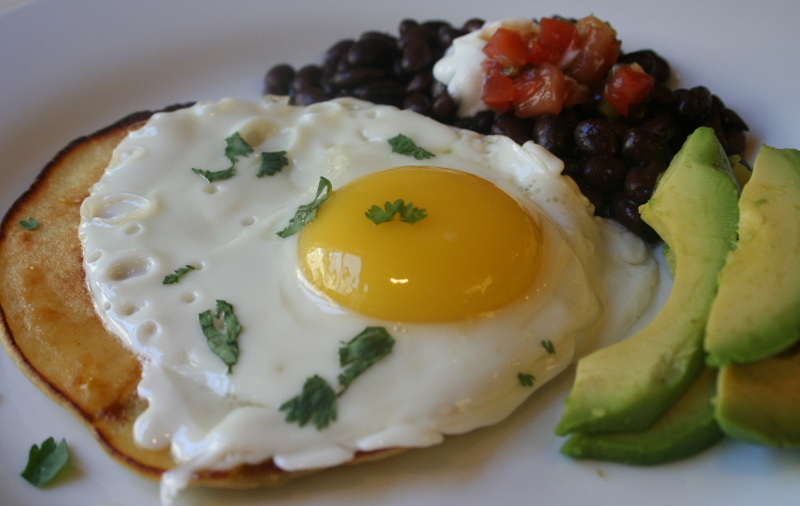 One of my favorite breakfast meals is huevos rancheros, tortillas topped with fried eggs and salsa. But, I also like corn pancakes made with masa, so I decided to make them with jalapenos and fresh corn folded into the batter. I served them with a fried egg, black beans and avocados. I didn't put salsa on the pancakes because I felt it would overwhelm their light corn taste. It was a very good meal, the runny egg yolk mingling with the pancake and the beans. My kind of breakfast, savory rather than sweet. Well, things are very busy here, entertaining my mother-in-law. I haven't had time to visit all my favorite blogs and I miss them. I haven't cooked a lot, but I can share this surprisingly good dish I made for Rosa's Sunday Breakfast Meme this past Sunday. 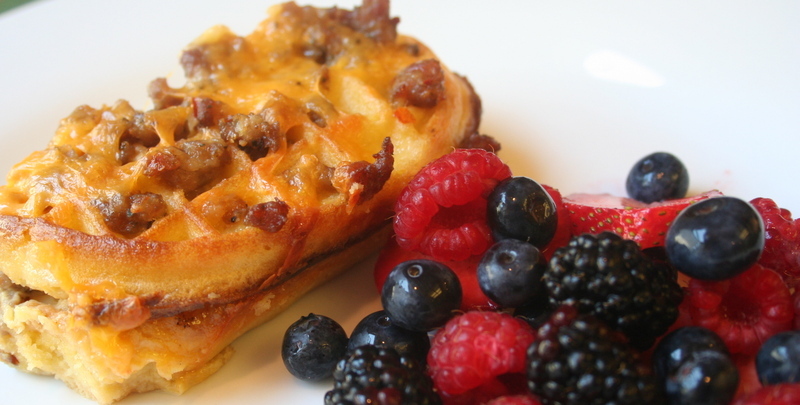 I thought about making a strata, but happened to see this Maple Sausage and Waffle Breakfast Casserole recipe in The Best Of America's Top Kitchen and decided to make it instead. Frankly, I was a little skeptical. But, the recipe was very good, not greasy or heavy. In fact, it tasted less rich than the strata recipes I've made that use lots of cream and high fat cheese. I certainly don't have any illusions that this is a low fat dish, but it didn't have that heavy, overly rich taste of some breakfast casseroles. How did it taste? Well, it tasted like waffles with maple sausage. The eggs and cheese didn't overwhelm the flavor or texture and the waffles weren't soggy. We all enjoyed this dish very much. I love my garden. It's not very big, but I'm able to grow some of the vegetables and herbs near and dear to my heart. So, when I saw that the lovely Mandira at Ahaar was hosting the Green Blog Project, I knew it would coincide with harvesting my first spring vegetables. My fava beans are almost ready to pick, but the tomatoes were only recently planted, and that splendid moment when I pick my first juicy red fruit is months away. But some weeks ago, I planted a variety of lettuce seedlings and now they're ready for a salad. 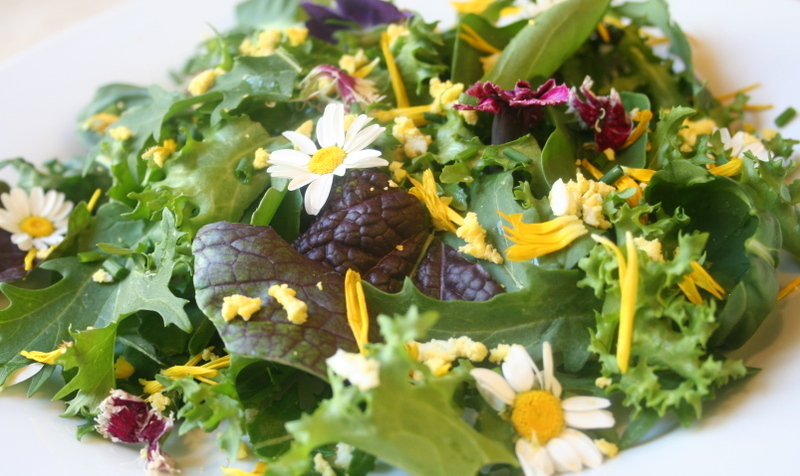 I didn't want to do anything that would overwhelm the fresh picked flavor, so I made a simple garden salad. Just the lettuce leaves, dressed with a simple vinaigrette, and sprinkled with a little finely chopped hard boiled egg and chives. I also tossed in some organic flowers. They look pretty, taste good, and help celebrate the first spring harvest. If you want to see what other bloggers have in their garden, head over to Mandira's blog. Sunday was a good day. Saturday I didn't feel good, and it was cold and rainy. But, we had sun for a good part of yesterday and everything was much better. At dawn, Bob went off to do some rowing and stopped off at a local produce stand on his way back. He planned on just buying some pistachios, but as is often the case, came back with a bag full of nuts, cookies, fruit, and tamales. 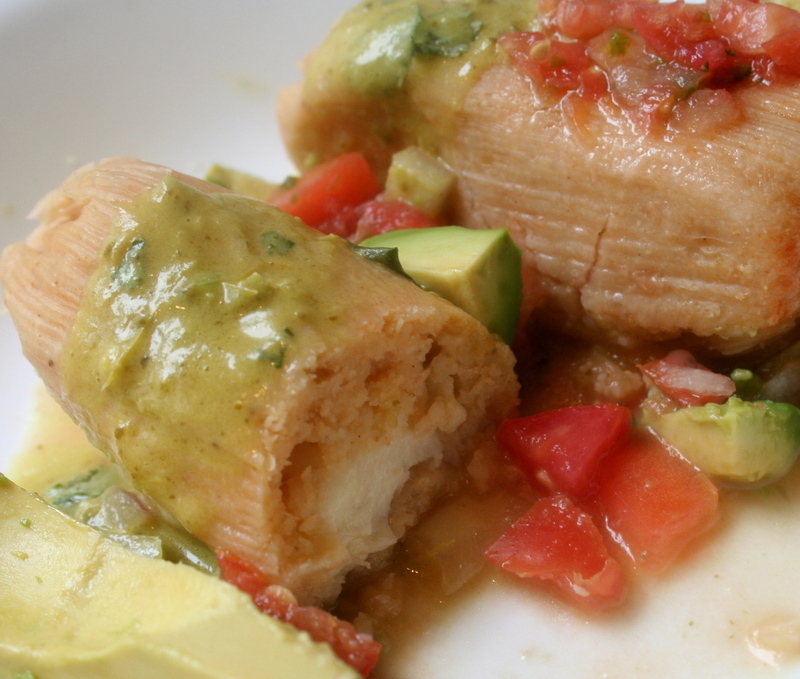 So, we had tamales for breakfast. They were good, but not as good as the ones from the Davis Farmers Market, which are a work of art. But, it was nice to start the day with these. I had a chili cheese and a potato tamale. And a cookie. Here's some of the goodies Bob bought. Actually, he did a good job. This stand stocks lots of snacky items, and huge baked pies, which he didn't buy. 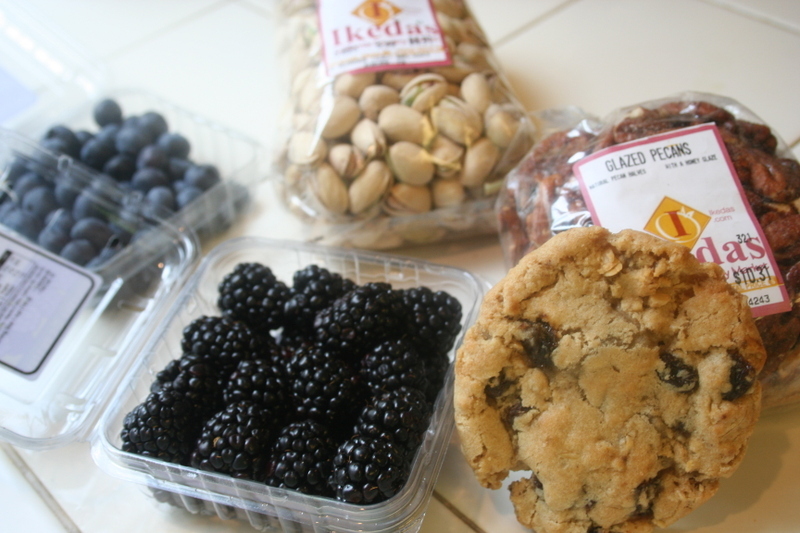 The stand is about five minutes from our house and is a good resource when the farmers market isn't open.